The Winback energy guides you:Home>F.Bearez and his sports career as a Winback therapist! 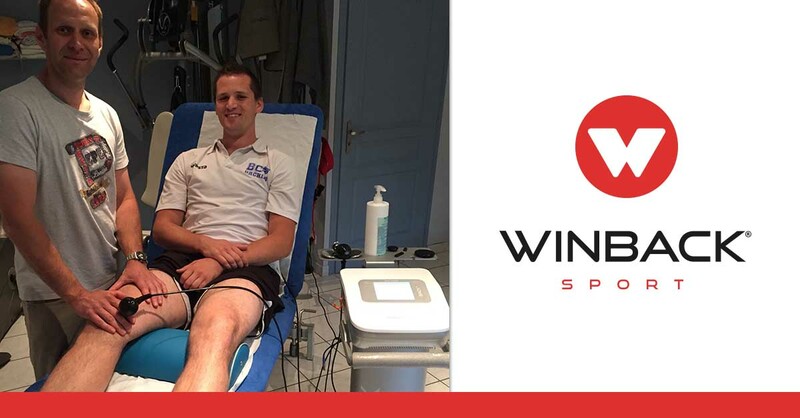 F.Bearez and his sports career as a Winback therapist! Athletes, a universe we know perfectly! This is what charms competitive environments where the key to victory is efficiency. Our offer ensures considerable time savings, interesting for any sporting discipline. Our standards being always higher and higher make us capable to place ourselves on the top tier of sports rehabilitation. Another key point for athletes: Winback puts the therapist-patient link at the very center of its programs. All our devices and accessories put the conservation of the human relationship in the core of their use. Thus, the service is as personalized as adapted to meet the athlete’s needs. Tecartherapy represents more than 300 different protocols to alleviate each concern: muscular, articular, nervous… And sportsmen make no mistake about it: more than 115 sporting teams are loyal to us, and we know how to return the favor! The therapist will perform a recuperative action; it relaxes the muscles strained by intensive training and reduces the time of inactivity required. Thus the risks of injuries or contractures decrease drastically for the following trainings. 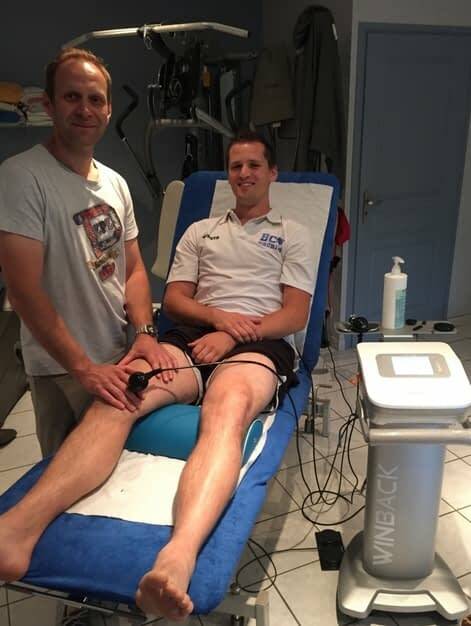 «I had heard about tecartherapy in the sports world a few years ago. Having Winback 3S for one year, I a considerable gain of time on all my treatments both in get in physiotherapy and in osteopathy. Treatments with tecartherapy are now indispensable in my professional life. Patients are surprised by the quickness of results (less pain, range of motion gained and maintained over time). On a daily basis, professional players come to be treated for physical preparations, treatments or recoveries. Winback optimizes the healing of sport injuries. We have an entire set of values in common with top-level sports that characterize us. Values are one of the most important parts that make Winback. Crossing boundaries: It’s been 5 years that we have been doing everything we could to offer the world the best treatments that are as effective as they are versatile. Delivering exceptional performances: With over 35,000 treatments performed every day, Winback brings a high-quality service to each of its users and heals them all in record time! Building a caring community: Our group involves more than 5000 therapists trained in the use of our devices and the Winback family continues to grow with new members every day! Our commitment in this noble field becomes immediately logical! Winback Sport is a complete assortment of cares provided by healthcare professionals that will listen and breathe a powerful and healthy energy into their patient. The sportsman benefits from an exclusive and unequalled care in this field! Find many sportspersons recovery videos on our Instagram!